Merry Christmas to all! 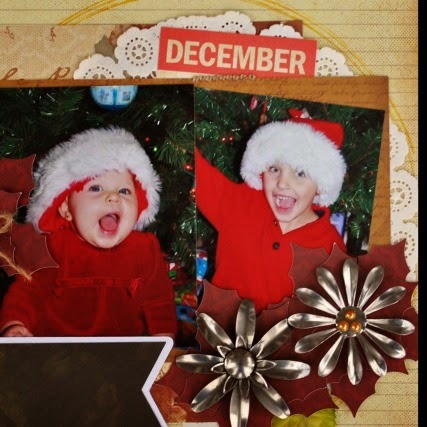 Cathy here with you today sharing a layout that features Quick Quotes new Metal Flowers! These are simply gorgeous and add a touch of elegance to all your projects! I layered the new metal flowers on top of poinsettia flowers that I cut with my Silhouette Cameo! I add a couple of pearls to one of the flowers. You get a variety of sizes in the pack and each flower is different! I spritzed a little gold and copper mist here and there. I also inked the edges of all the papers with Creamy Cocoa PowderPuff chalking ink! Fun and simple layout, but the new metal flowers add so much!